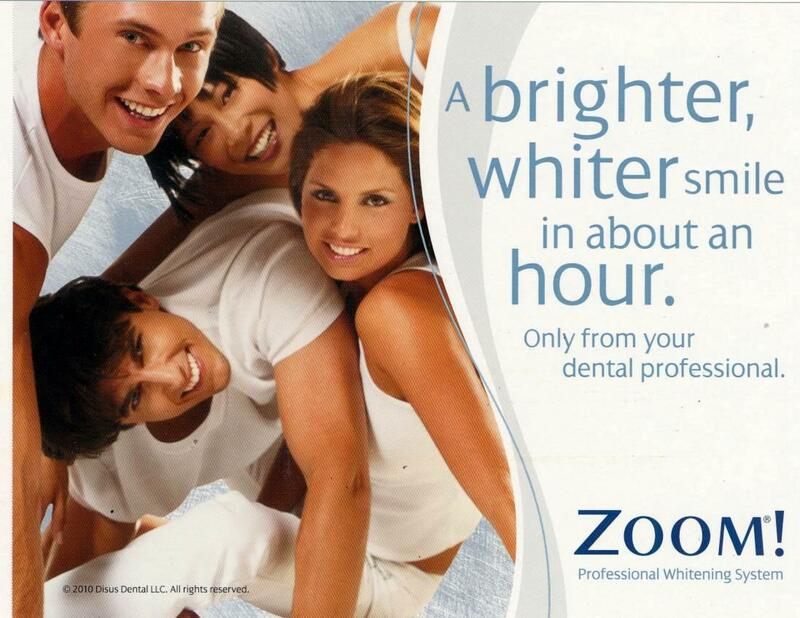 A brighter, whiter smile in about an hour! Whitening your smile is one of the most effective, cost efficient and safe ways to improve your appearance and confidence. This simple procedure is done in the office by trained dental professionals. You get immediate results and custom take home trays to continue whitening or for touch ups later. Zoom! is perfect for people on the go who want immediate results with little homework. Another very effective way to whiten is with custom-made take home trays. Impressions are taken and clear, thin trays are made to cover only your teeth. You get professional supervision and advice for a customized whitening regimen. Often final results are achieved in as little as two weeks. This method of whitening is great for anyone who wants to improve their smile. Our teeth naturally get darker over time. Stains from smoking or drinking coffee, tea and soda also make our smiles "dingy". Whitening strips are an easy, inexpensive way to freshen up our smiles. We offer a professional whitening strip that does not require impressions and can be worn while you sleep or even drink! They come pre-packaged in a 5 day supply for upper and lower teeth. Perfect for a quick touch up!